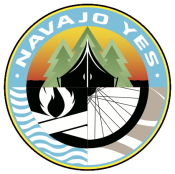 By registering for this race, you have the opportunity to donate to NavajoYES whose mission is to promote community wellness, lifelong fitness and youth empowerment in communities across Dine’ Bikeyah. Their community outreach and education efforts reach thousands of youth and families every year. Vacation Races will pay for all the processing fees and administrative costs, so that means 100% of your donation will benefit the organization. Note: Donations made through the registration system are not tax deductible. Fundraisers - The fundraiser option is a great way to raise more money for NavajoYES. This is optional, unless you are purchasing a charity bib. Donations - If you would like to donate an amount to NavajoYES, please enter it below. Any runners who donate $50 or more will receive a special gift at the race. Please use the donation option at the bottom of the page.